NoteRec (Android) - Awesome recording/note-taking app ~ Android Forever! 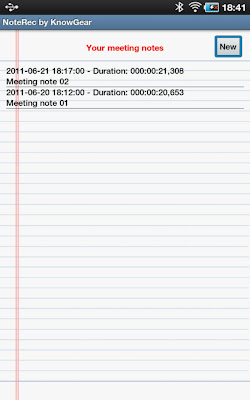 Picture this: A meeting is taking place and you want to be able to record it. You open this app and start recording. Whenever a new topic comes up, you make a short note within the app. 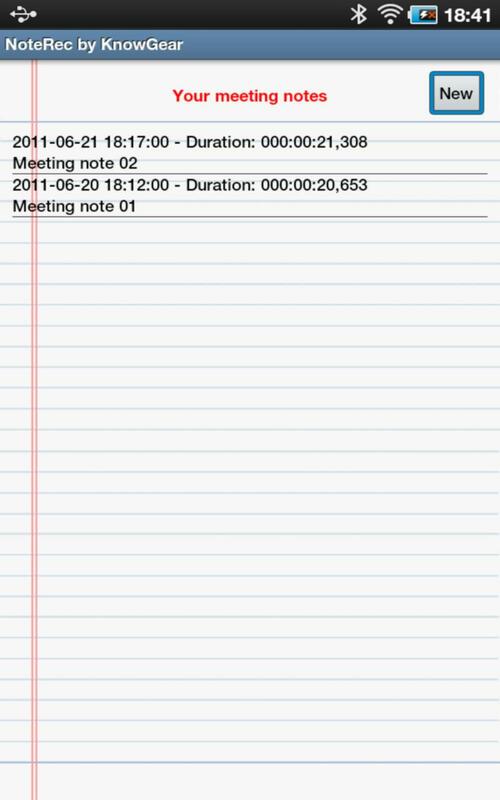 Later, you can skip forward to each main section of the recording by tapping on the notes you made as the meeting progressed. How cool is that? NoteRec is FREE on the Android Market!